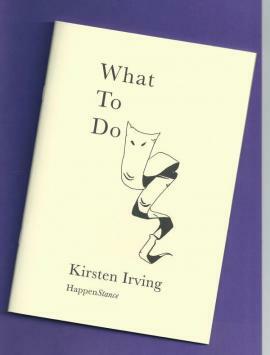 Kirsten Irving’s What To Do is deceptively titled. The poems in this pamphlet present a series of speakers, each one snapped at a crucial moment. Whether this moment is one of crisis or epiphany, these characters are certainly in need of guidance. Rather than address this pressing question of ‘what to do’, Irving focuses on the moment itself as a sort of psychic interrogation, as if she herself has no idea where her various speakers will turn. It is this almost microscopic attention to a single point in time that makes Irving’s poetry so arresting. She has a gift for characterisation, an accolade not usually reserved for poets. But given the use of epigrams from Clifford Allen’s The Sexual Perversions and Abnormalities, it is safe to say that Irving is a writer fascinated by human nature and with a keen eye for psychological detail. This pamphlet’s thirty-two pages are more densely populated than some anthologies, and though the precision of Irving’s character studies can be uneven, the poems are consistently credible and compelling. Arguably the standout work here is ‘Recreation period’, a sequence of poems which scoops characters out of classical mythology and sets them down in the surprisingly familiar setting of a juvenile mental hospital. The conceit is executed with unexpected delicacy, though Irving does not shy away from the humour of it: the repeated line “Leda won’t come to the park” makes you laugh even though you know it probably shouldn’t. 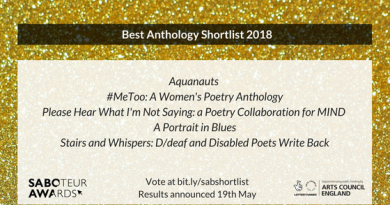 There is darkness here, too – the second poem in the sequence conflates the myth of the ritualistic madness of Agave with a stark and realistic story of a girl’s traumatic encounter with insanity. This is achieved with an admirable seriousness that prevents the poem from descending into farce. that doesn’t quite clear the throat. That’s not to say I won’t. There are times when Irving’s use of form is not quite in step with the ambition of her images, but these are blessedly few. The potential of ‘Bluebeard’s Photo Album’ is fragmented by single words that can’t quite hold the weight of a line. The final poem in the pamphlet, ‘Discharge’ conveys grief with great tenderness, but the lineation (“Tom is dead / or in Bombay”) discourages the reader from lingering on the real heart of the poem. The mournful second stanza is brief and peremptory, sticking in the throat rather than allowing the feeling to resonate. Perhaps the best word to sum up ‘What To Do’ is unyielding. Not only does Irving pin her characters to the most pivotal (and potentially troublesome) poetic moments, she refuses to let them – or the reader – escape. What the reader takes from these moments is down to them; there is ammunition in Irving’s poems for both laughter and tears. 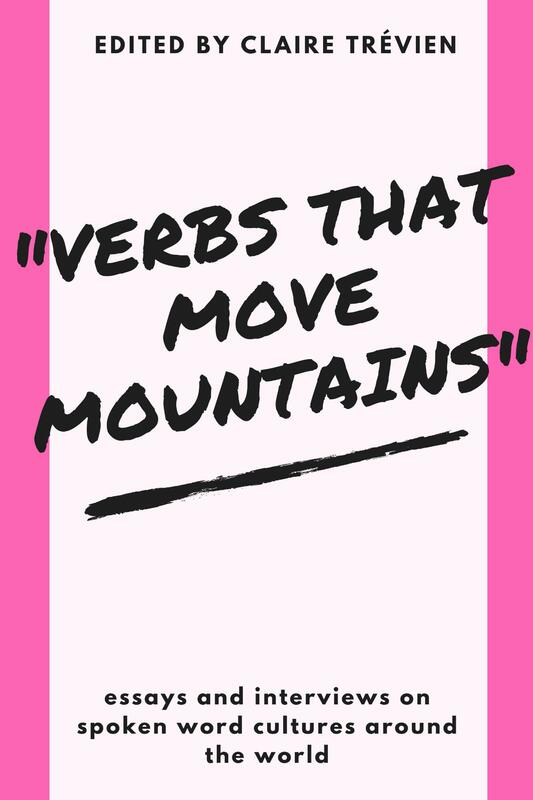 Either way, the force behind these poems is inescapable. Irving takes the familiar and introduces a rogue transformative element. These poems look you in the eye and won’t look away before you do. This is difficult to sustain in the dialogue of ‘Restorative justice’, but the unsettling power of Irving’s poetry cannot be avoided. ‘What To Do’ may not provide its readers with instruction, but it’s fair to hazard that they’ll find something in these poems to keep them asking. Pingback: Poème du jour: Matthea Harvey « Quoi le Phoque?